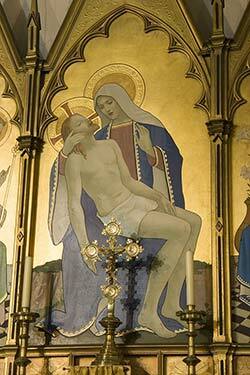 March 2008 saw the publication by SPCK of Imaging the Bible. An Introduction to Biblical Art, edited by Martin O’Kane, Director of the Arts & Humanities Research Council-funded project, ‘Imaging the Bible in Wales in the 19th and 20th centuries’, and also of University of Wales, Lampeter’s Centre for the Bible and the Visual Imagination. A collection of ten essays, the book is described by Dr Larry Kreitzer of Oxford as ‘a magnificent introduction to the wealth of riches contained in Christian art of the past two millennia’, and by Professor Mary Mills of Liverpool as ‘accessible as well as scholarly’. In addition to the introductory essay by the editor and a concluding reflection by Professor Nicholas Davey of Dundee on hermeneutics, aesthetics and transcendence, the essays range widely both in chronology and artistic expression. 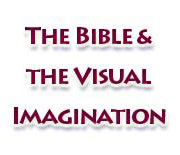 No fewer than seven of the ten contributors are associated in some capacity with Lampeter’s Centre for the Bible and the Visual Imagination, including Dr Andreas Andreopoulos, Dr Sarah Boss, Professor John Harvey and Dr John Morgan-Guy. Altogether, the book provides what Larry Kreitzer calls ‘an artistic storehouse, one that informs, challenges and inspires the interested reader’. The book is well illustrated, both in black and white and with colour plates, and a significant number of the images are taken from photographs by the Imaging the Bible in Wales project’s Artist, Researcher and Designer, Martin Crampin, and published here for the first time. The volume was launched formally at the project’s Spring 2008 conference in Aberystwyth by Professor Robert Pearce, Vice-Chancellor of University of Wales, Lampeter.